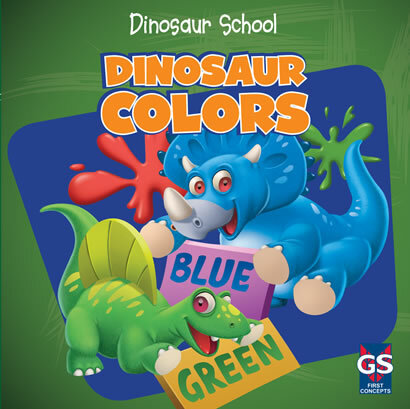 Early learners are introduced to the concept of colors and their respective names with the visual aid of dinosaurs. Each vibrantly colored dinosaur is simply labeled to bring this important first concept to life. Similarly colored and easily identifiable items, such as a red apple and an orange pumpkin, are also featured for further reinforcement. A summary page of dinosaurs labeled by color presents an additional opportunity for learning.